Automotive News reports that 65 to 70 percent of car shoppers never contact the dealer they purchase from before walking through its doors. That, in my opinion, is a mistake that could cost a car buyer thousands of dollars. I’m not going to get into the importance of online research and dealer comparison shopping again, but instead use that stat to illustrate that cars, for many reasons, have yet to succumb to the online purchase phenomenon that has gripped every other product on Earth. Some automakers have tried to push an online buying experience (remember the GM eBay experiment? ), but for now buyers prefer to buy their cars within the confines of dealership walls. Scion, the “Gen Y” marketing arm of Toyota, wants to start pushing dealers into selling vehicles online. Could it work? The Automotive News story says Scion’s program was inspired by elements from the Amazon.com retail experience to allow car buyers to configure their vehicle however they want, find it at a local dealership, secure financing and purchase at a no-haggle price. Going a step further, Scion even wants the cars to be delivered to the customer’s home, though probably not wrapped in anything like Amazon’s convenient brown packaging. The only problem I see with this is the no-haggle part. 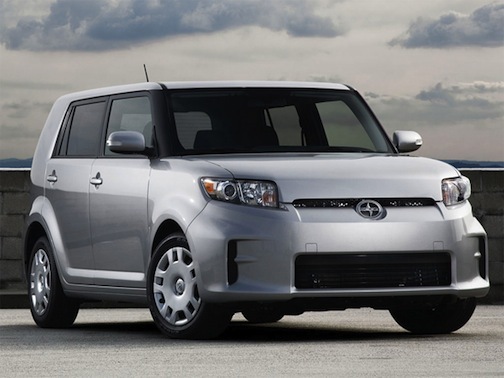 Sure, Scion would love to sell cars at a set price; all automakers would. Consumers have been well-trained, though, to know they should never pay the price shown on the window (or the computer screen). We don’t go to the dealer’s store because we enjoy the ambiance, we go because we know we can talk down the price. If Scion added an online negotiation feature, too, it might be on to something. The idea is still in its concept phase, and dealers would never be forced to sell exclusively online. I think this idea is doomed, though, because buyers are still forced to choose from available cars rather than having one custom built at the factory. If a buyer could buy a car in the exact specs he or she wanted directly from the factory and have it shipped to her or his home, the idea might work, even with a set price. But even then, a buyer would be taking delivery of a car he or she has never driven. Another bad idea. Considering cars are a try-before-you-buy product and require intense negotiation to get the best price, I don’t think online sales will take off until there is a fundamental change in the way consumers believe cars should be sold. Would you consider buying a car online at a set price if it would get delivered to your home? This entry was posted in Car Industry News, Car Minded, Car Shopping, Foreign Cars, General Chat, United States and tagged buying cars online, car dealers, Scion online sales. Bookmark the permalink. Not a chance. I want to drive a car before I buy and make sure I get the lowest price. That’s just not possible online. Books, movies, computers, plane tickets, hell I’d even buy a coffin online. Never a car.